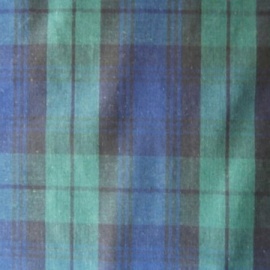 Tartan is made with alternating bands of coloured (pre-dyed) threads woven in different angles, the resulting blocks of colour create a distinctive pattern. 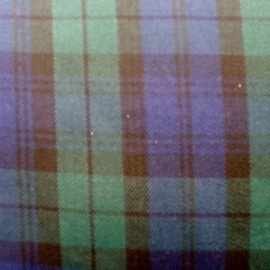 Tartan is usually associated with Scotland as Scottish kilts are always made with tartan patterns. It can also be used on hats, scarves, jackets, blankets, bags and anything else, you can make anything with a tartan pattern. 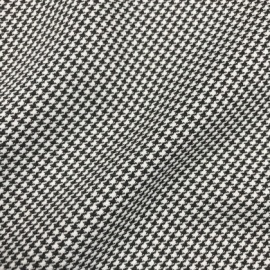 If you have any questions about our tartan or checked fabrics, contact White Lodge Fabric for advice and guidance, we would be more than happy to help. White Lodge Fabric was formed in 2003 to supply dressmaking material for Irish dancing dresses. Since then we have expanded our range to include dressmaking fabrics for weddings, ice skating, ballroom dancing, ballet, stage wear, theatrical costumes and craft fabric. 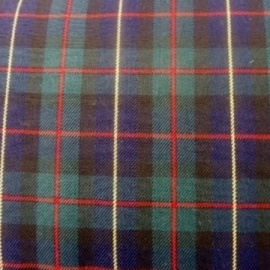 Feel free to get in touch with us if you have any questions about our tartan / check fabric range, or any of the fabrics we stock. We are always on hand to take your call, answer your questions and deal with any enquiries that you may have. 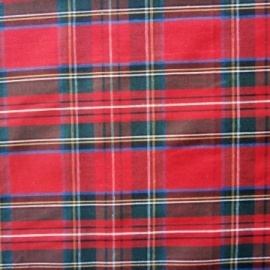 We can also offer expert advice about which of our tartan / check fabric would best meet your requirements. Our first class experience is unrivalled, so why not contact White Lodge Fabric today? 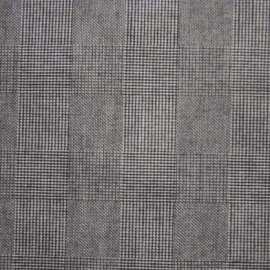 White Lodge Fabric firmly believe that the quality of our tartan / check fabrics are unparalleled throughout the UK. We are extremely proud of the high standard that we supply to each and every one of our customers. We are equally as proud of our fantastic affordable prices! Whether you are looking to create a brand new garment, or desperate to repair a piece of clothing which is dear to you, we have it all! 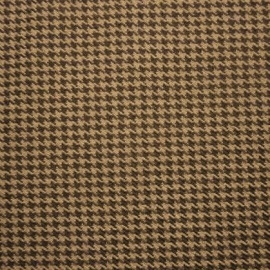 Our fabrics are guaranteed to not only meet, but exceed your expectation, time and time again. No matter what you are in need of, White Lodge Fabric strive to ensure complete customer satisfaction with each and every piece of fabric and thread. 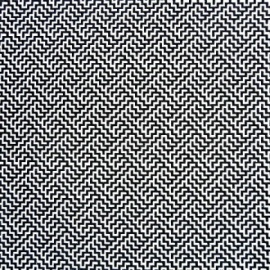 If you are looking for tartan / check fabric, or any other type of fabric, White Lodge Fabric is the perfect fabric supplier for you. Why not take a look around our website to see a full overview of the fabric and thread that we offer? Alternatively, you can get in touch with us directly and speak to one of our team who are always ready to take your call and deal with any questions or enquiries that you may have.